#Office365Challenge How’s that for planning?! My 300th post in this challenge falls on Xmas. So I really hope no one reads my post today or even opens their computers. But, here goes anyway. 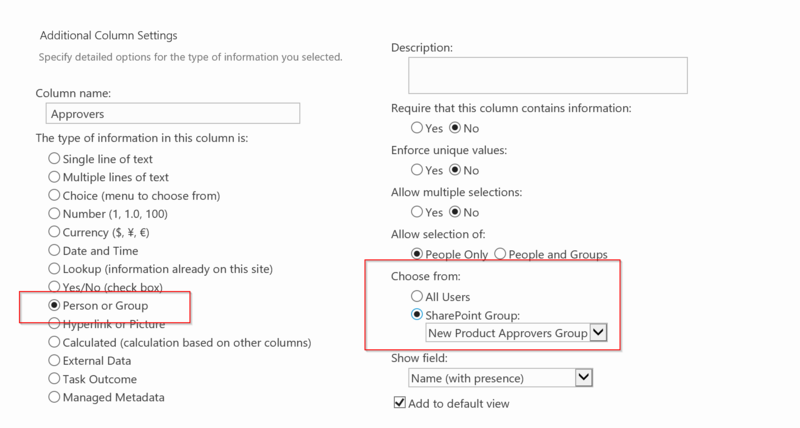 In SharePoint you can restrict who may be picked in the Person or Group column by pointing it to a SharePoint Group. Using a People Picker (Person or Group column) allows you to pick people from your company’s Active Directory. Sometimes you want to allow users to pick someone, but restrict them to a specific group of people – Managers / Approvers etc.